Our Canteen facilities are offered in association with Clarkson Community Senior High School using the “Our Online Canteen” ordering system. This provides an easy and convenient way to order school lunches. Our Online Canteen Pty Ltd is an Australian owned company. The system is easy to use, has full customer service and IT support and will offer exclusive discounts and prizes from time to time. Sign up by completing the registration form online. Enter your contact details, user name and password. 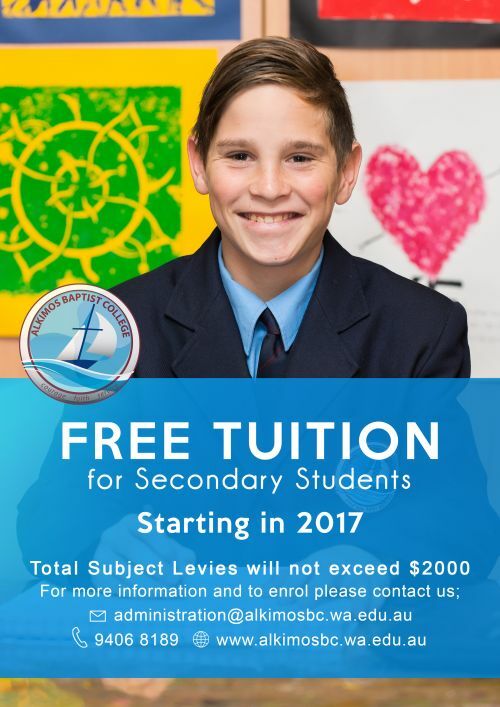 Select your school (Alkimos Baptist College) and enter your child‘s/children’s names. Ensure you include your child’s year group in the Tutor/Room field. Add credit to your account and order meals for your child/children. PayPal, Credit Card and Direct Deposit.